Happy October, Lumplings! Goodness me! It’s the fifth of October and I haven’t shared any goodies with you yet. How thoughtless of me. Sometimes unlife just gets in the way. 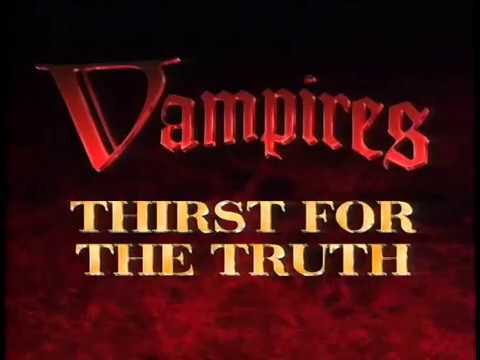 Well, let your beloved Uncle Zombii make it up to you with this splendid little documentary I found on Youtube, Vampires: Thirst for the Truth! It was made back in 1996 and is simply wretched. The film is narrated by Blacula himself, William Marshall, who punctuates the standard documentary reading style with a liberal dose of his over-the top hammy-ness at key moments. Nevertheless, it’s a great, cheesey peek into the way the world saw Vampires in the mid-nineties. It’s also a great way to get in the Halloween mood. Enjoy, dears!